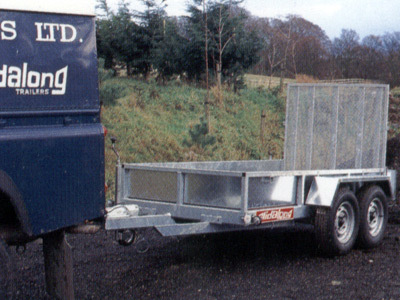 Tailor made for carrying small plant, these trailers are practical and strong yet easy to tow, which, for this type of work, makes them indispensable, as they are designed to support and withstand the rigours of regular loading and unloading. 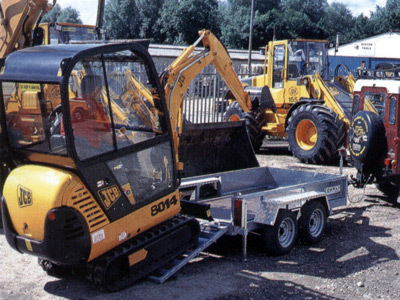 Purpose designed for mini excavators, this twin axle trailer has a bucket support fitted as standard to assist the stability of the unit when in transit. 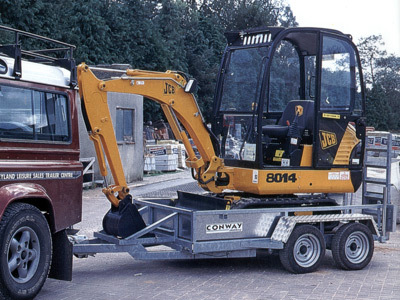 With a loading height of just 14”, the trailer is easy to load, assisted by a choice of tailgate options to suit the plant being carried. The wide stable track and standard features, such as non-slip floor and flush fitting deck rings, make transportation of such items a very safe proposition indeed. At the same time, infill panels are available for the trailer sides, enabling it to be easily converted to a versatile general purpose trailer that can handle an even wider range of applications. Four flush mounted deck rings Bucket support. Spare wheel. Spare wheel bracket. Ladder rack. Galvanised floor. Heavy duty galvanised mesh floor. Winch post.